Jojo starts off her parties with a jolly meet and greet session plus a birthday balloon modelling routine. 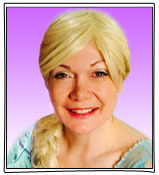 Her super show incorporates a mighty mix of magic, puppet appearance and dancing games. She also entertains with dancing, runaround, other party games, and parachute games too if there is room. Pass the Parcel if requested. 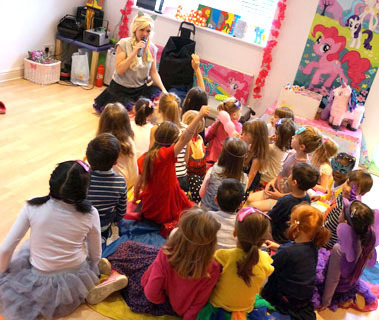 To finish with, Jojo entertains with fun roleplay and a presentation to the birthday child. As an option, Jojo can facepaint for the second hour of a 2 hour party. 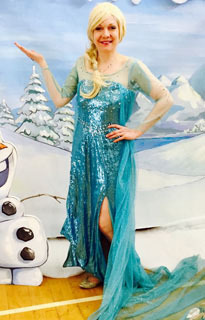 Jojo can also come as popular princess characters for themed parties. "Hi Sue. Just to say thank you so much for providing us with Jojo on Sunday. We had really good feedback from our guests and our staff and the whole event went really well, we were very pleased! 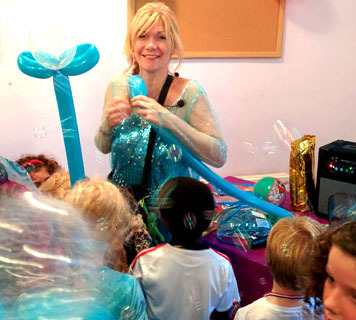 We don’t do children’s events very often, but if we do one again I’d certainly use you again for entertainers. Many thanks, Hannah." 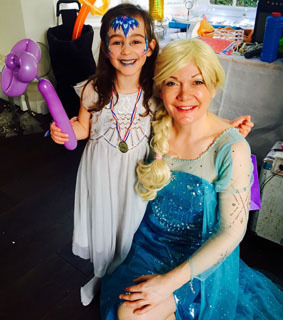 "Just wanted to say a massive thank you to Jojo who was amazing yesterday - she managed to keep the children thoroughly entertained throughout the duration which was no mean feat. 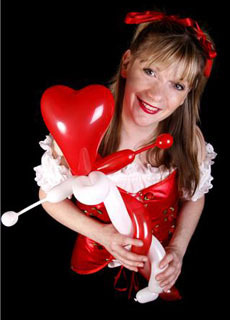 One of the mums said that Jojo was the best balloon artist she had ever come across - and she has seen a fair few! Thanks again, best wishes, Jane." "I just wanted to say a massive thank you to JoJo for Saturday's party. She made a special effort to fit in with our pyjama theme, adapting her routine and even wearing a onesie! Right from the outset she had all 36 kids eating out of her hands, and I couldn't believe how calm it was considering! The snow machine went down brilliantly, and what was quite a stressful experience (putting on a party for that many kids between 3 and 7 years old) was made considerably less so by having the entertainment taken out of our hands. She was a dream and I can't recommend her highly enough. Thank you! Nicola"